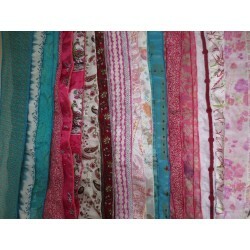 These sumptuous scarves are made from recycled Indian Sari fabric. Each one is unique. You can see each one in action on our YouTube Channel! Layered saris are made of 10 strips. 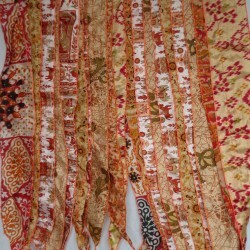 Flat saris are made of 8 broader strips. 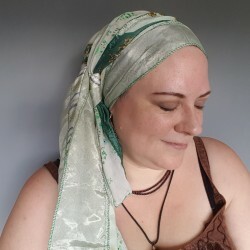 Both types wrap beautifully and are a centrepiece of any wrap collection.